Chobani is celebrating their 10th anniversary and giving you a free yogurt!! 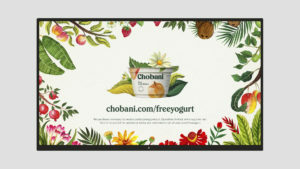 To redeem simply print a coupon at Chobani.com/freeyogurt and present at a participating retail store. Do a quick search on Chobani’s web site to see where to buy in your area. For our zip code the coupon is redeemable at Walgreens, Target, Publix, Whole Foods and Fresh Market!!! If you’re an Amazon Echo users, Chobani has set it up so you can redeem your coupon on Amazon Fresh and Prime Now Platforms! 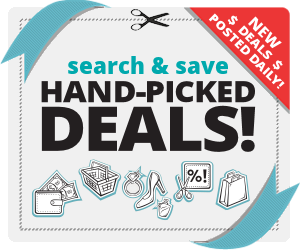 The coupon works for any single item of 5.3-oz Chobani® Greek Yogurt, 5.3-oz Flip® yogurt snack, 10-oz Chobani® Greek Yogurt drink or 5.3-oz Chobani® Smooth (2-pack). Whether you’re a yogurt super-fan, or one who still hasn’t even tried Greek yogurt, there has never been a better time to get your delicious, nutritious, natural Chobani! But, as with all celebrations, this won’t be around forever. Offer ends March 4. No purchase necessary to receive free participating product. Quantities limited, while supplies last. Void in NJ & LA. For additional terms and restrictions visit Chobani.com/freeyogurt.